The unique experience in progressive and trance scene! 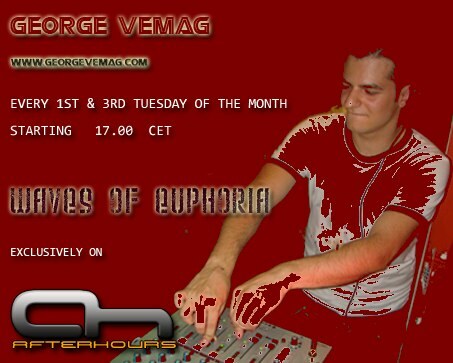 GEORGE VEMAG promises to continue the unexpectable radioshow with fresh tunes from the future of dance music! This radioshow includes mixes from the biggest names in trance,techno and progressive and offers you the expected quality! Last edited by DistantLand; Apr 23rd, 2009 at 19:48.
tracklisting? whats the name of the song "all because of you" ?